Flooding is a risk to any business, whether you are inland or near the coastline. In fact, in the past five years all 50 states have experienced floods, and at least one in four businesses that shuts down from a natural disaster never reopens. According to the U.S. government, the average commercial flood claim in the past five years has been around $89,000, and the average property damage due to flooding adds up to more than $3.5 billion annually. A general policy will not cover flood damage, and this type of insurance is only available through the National Flood Insurance Program (NFIP). The NFIP will cover all the types of floods discussed above, including mudslides, though it is important to note that it does not cover landslides even if they are caused by heavy rain. To make sure you get a fair price, every commercial flood agent answers to this government agency; therefore, flood insurance is backed by the government but sold through private insurers. 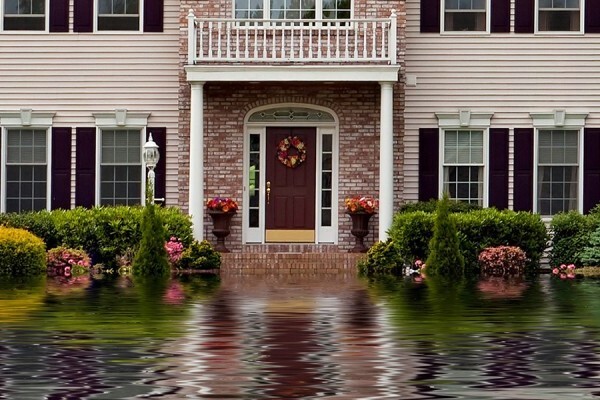 There are plenty of misunderstandings about flood insurance. At Insure Forward - Grand Forks, we have compiled some information about the NFIP and its coverage to help you understand its benefits. NFIP Coverage: Who Should Buy It? There are two main flood hazard level standards and several sub-categories that the NFIP uses to categorize a company’s risk for flooding and to determine premiums. If your commercial property is in a high-risk flood area and you have a mortgage from a federally regulated or insured lender, then you are required to purchase a flood insurance policy. However, the NFIP reports that one-third of all annual claims paid are for policies in low-risk communities. Because new land development can increase flood risk by changing natural runoff patterns, it is a good idea to purchase flood insurance even if you are not near a large body of water. h interest. For example, if you received a $50,000 federal loan at 4 percent interest, your monthly payment would be around $240; however, by comparison, a $100,000 flood insurance premium could cost your company less than $100 per month. There are two types of commercial building flood insurance coverage, and you can opt to buy one or both. Commercial Contents covers inventory, merchandise, machinery and any other contents your business has up to $500,000. Commercial Building covers your company’s building and contents up to $500,000 each. If your company does not own the building, NFIP will cover up to 10 percent of improvements you made to the space. In addition to these two types of building coverage, the NFIP will also cover debris removal during the cleanup process. Also, if your business takes steps to protect against or prevent flood damage, you may be eligible for lower rates. For more information on how to protect against the risk of flood damage to your business, go to www.fema.gov/information-property-owners. If you have further questions about flood insurance coverage and its provisions, Insure Forward - Grand Forks is here to help. Call (701) 772-6651 to find out how you can extend your coverage to keep your business safe and running–no matter what happens. This advice is for general information purposes only and may not apply to you. Every insurance situation is different. This is not intended to be legal advice. Please consult an Insure Forward representative regarding your individual situation. Home Matters: Are you prepared for a flood?